A man in his 30s who suffered major injuries Tuesday night after he was struck by a hit-and-run driver in Millbrae, died from his injuries, according to the San Mateo County Sheriff's Office. The man was hit while crossing El Camino Real at Ludeman Lane about 8:45 p.m. 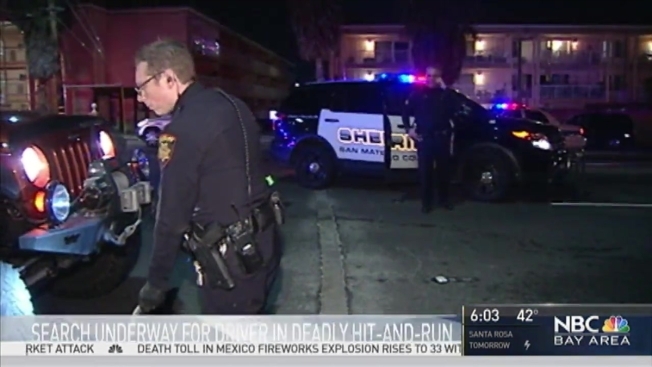 He had been crossing in a crosswalk when he was struck by a small silver or light-colored SUV similar to a Toyota Rav4, sheriff's spokesman Salvador Zuno said. In previous reports, the sheriff's office had identified the vehicle color as red. The vehicle did not stop at the scene and left the man lying in the road. The man suffered major injuries and was taken to a local hospital, where he later died Zuno said. Police are looking for the suspect vehicle. Anyone who witnessed or has information about the hit and run should contact Zuno at 650-421-1243, the nonemergency line at 650-363-4911 or the anonymous line at 800-547-2700.